I am not really a fan of most apologetics. All too frequently, it seems to me, those who engage in this particular discipline (and here I use “discipline” with some reluctance) seem to presume that they can, by force of argument, convince any rational person that their own system of belief is the only reasonable one. Construct the right system of facts, observations, and conclusions, and any decent rationalist will, like C. S. Lewis before, be left with no alternative but to become another “dejected and reluctant convert” to the faith. With due respect to the great Lewis, whose writings I love, I don’t think reason can carry one that far. On the other hand, however, I have to admit that when I look at why I believe what I do, a lot of the answer is intellectual. Not in an academic sense, God knows. I have not studied formal theology or philosophy, I can’t quote all the important (or self-important?) 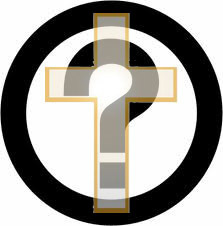 authorities on epistemology and theology, and I have little doubt that in the next couple of posts I’m going ignorantly to abuse at least one “ology” word. I am not an academician, nor do I presume to be. Nevertheless, when I look at my faith experience over the first half-century of my life, I am forced to admit that it’s very nearly “all in my head.” As I wrote a couple years ago, I have never encountered God in the relational way described by many Christians. So why do I stubbornly hang onto what many characterize as old superstitions, crutches for a weak mind, and the like? With all the posts I’ve written about ways that Christians are wrong, why don’t I just go all the way and admit that Christianity itself is wrong? Why don’t I face the fact that people seem godless because there’s no god in the first place? This post, and some indeterminate number of future ones, are my attempt to answer these questions in a fashion that is coherent for me. That “for me” phrase is important. I am not attempting here to convince anybody else that my reasoning trumps their own doctrines, or beliefs, or doubts. I said above that I don’t think reason alone can carry one all the way to faith. If I am to “prove” anything in this series, it is that for me at least, reason alone is also insufficient to drive me from faith. Whether others find my perspective compelling will, I hope, be the subject of some dialog. I hope, at least, that you enjoy the ride.